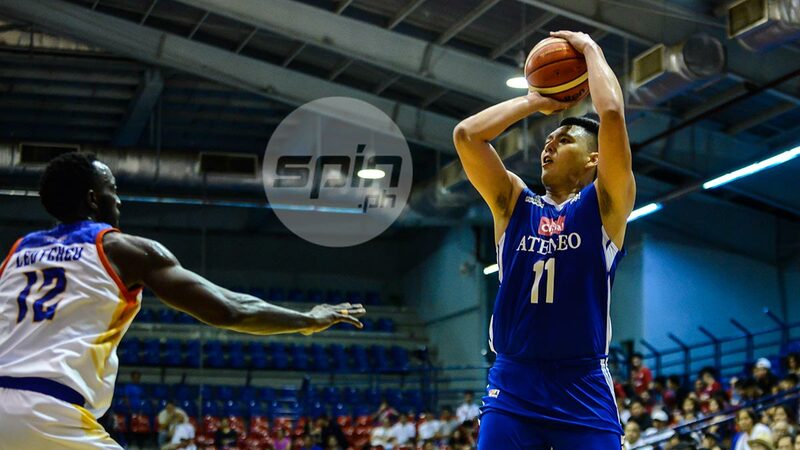 ISAAC Go sparked Cignal-Ateneo's emphatic 103-75 victory over Go for Gold-College of Saint Benilde in an auspicious start to its campaign in the 2019 PBA D-League on Thursday at Ynares Sports Arena. The hardworking forward was on point from rainbow country as he drilled three three-pointers in a blazing 16-point first half. He finished with a 4-of-6 clip from that distance and wound up with 21 points and four rebounds. Go's explosion allowed the Blue Eagles to build a sizeable 27-point lead, 44-17, in the second quarter from a tight 20-16 edge, all thanks to a 24-3 run capped by a layup from Ange Kouame. Adrian Wong also waxed hot from deep, pouring in 17 points built on five treys, alongside five boards and four assists, while Matt Nieto got 14 points, seven assists, and three rebounds to help Cignal-Ateneo take an early lead in the Aspirants Group. Ivorian center Kouame was a force to be reckoned with in his league debut, contributing 13 points, 18 rebounds, four blocks, and two steals while putting an exclamation point to the 28-point demolition with a dunk with 1:21 left to play. "Offensively, I was surprised that we played pretty well," said coach Tab Baldwin after Cignal-Ateneo shot 55 percent from the field and 45 percent from threes. "We've got some guys in our roster that we're reconstructing their shots. We're not doing a lot, really, but the guys played very efficiently. That's one thing I really liked." Justin Gutang held the fort for Go for Gold-CSB with 21 points and three rebounds while Yankie Haruna had 11 points and three boards for the reigning Foundation Cup champions. CIGNAL-ATENEO 103 -- Go 21, Wong 17, Ma. Nieto 14, Kouame 13, Mi. Nieto 9, Navarro 9, Belangel 9, Daves 6, Credo 5. GO FOR GOLD-CSB 75 -- Gutang 21, Haruna 11, Belgica 9, Pasturan 8, Naboa 7, Young 6, Dixon 6, Carlos 5, Leutcheu 2, Nayve 0. Quarters: 20-14, 49-26, 80-55, 103-75.